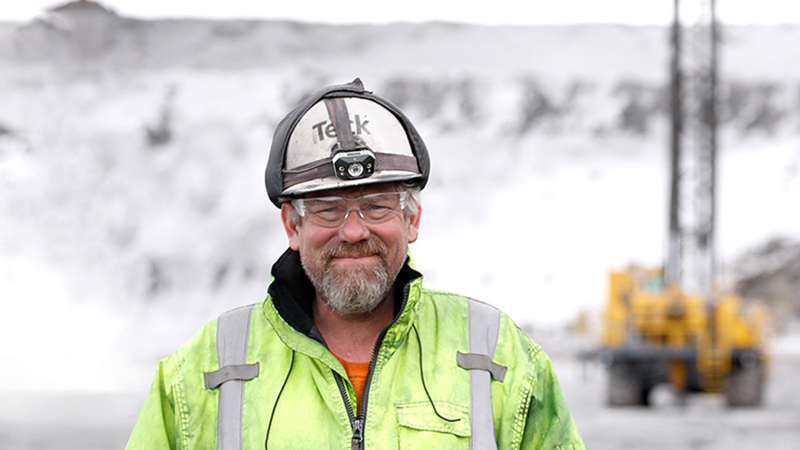 Image: Teck Resources’ Red Dog mine in northwest Alaska. Zinc was the best performing commodity on Friday with LME prices ending at $2,616 a tonne ($1.19 a pound), a 3.3% jump on the day, outperforming sector bellwether copper's 2% gain. After today's move zinc is once again in positive territory for 2017, building on a 60% gain last year on the back of dwindling supply and strong demand from the global automotive sector. Donald Lindsay CEO of Teck Resources, told investors at an industry gathering in Barcelona, Spain that among the diversified miner's portfolio, it is most bullish about zinc's short term prospects. 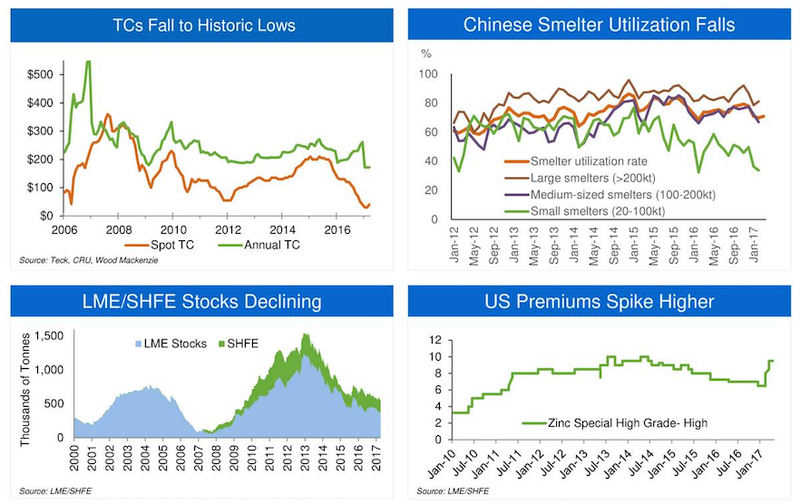 The Vancouver-based company, the world's number 3 producer of zinc, showed a slide at the Bank of America Merrill Lynch Global Metals & Mining Conference that sums up the historically tight market environment for zinc at the moment. The scarcity of zinc concentrate is most evident in spot treatment or refining charges (TC/RCs) levied by smelters which have fallen to historic lows (higher TCs indicate greater availability of concentrate). Lindsay also noted annual contract TCs fell by the most on record this year and that refiners such as Korea Zinc, the world's largest producer of the metal, is opting to cut production rather than commit to today's low TCs. Scarcity of zinc concentrate is prompting Chinese refineries to lower capacity utilization and with the country's refined output falling to the lowest level in two years in April a step up in imports of refined zinc is expected. LME data on Friday showed available zinc stocks fell to just over 170,000 tonnes, the lowest since October 2008 while inventories at warehouses monitored by the Shanghai Futures Exchange fell 9.5% from last Friday to 91,700 tonnes. Premiums for zinc in the US is heading higher and in China jumped by $10 to $155 a tonne this week, the highest in nearly three years.